If you live in the Atlantic states or along the Gulf Coast and haven’t yet made preparations for hurricane season, now is the time to do so. Building a hurricane survival kit is a must for coastal people. Every year hurricanes cause massive amounts of damage, not just from the hurricane itself but from the violent thunder storms and tornadoes that often accompany them. Wind damage, flooding, downed trees, and utility outages are just a few of the calamities that can result from a hurricane. Counting on a few extra cans of soup and some bottled water to get you through just won’t cut it; you need a well-stocked hurricane survival kit and a solid emergency plan to be adequately prepared. 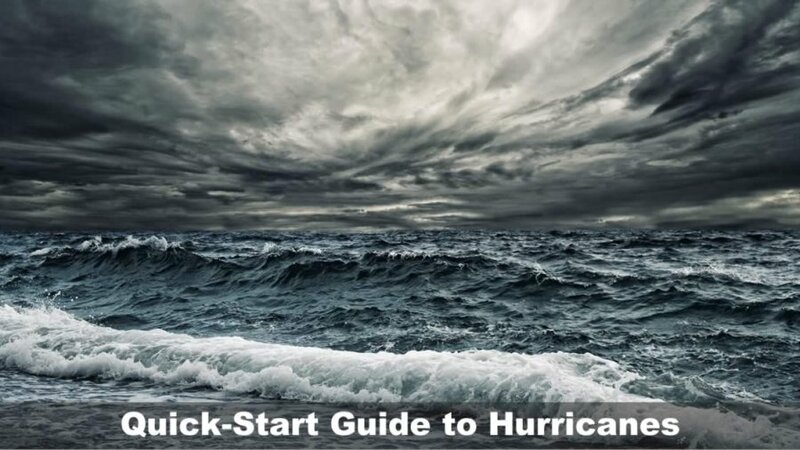 The good news is that it doesn’t take much time or money to build your hurricane survival kit and preparedness plan, which is why we have put together a quick-start guide to help you prepare for hurricane season 2013. You should have at least a three days’ supply (72 hours) of the following items in your hurricane survival kit; however, a week’s supply would be preferable. These are basic supplies to have on hand to get you started, but you should add additional items such as extra blankets, clothes, shoes, etc. Plan on 1-2 gallons per person per day for drinking, sanitation, and cooking. Purifying drops or tablets in case public water is unsafe to drink or a water filter that removes bacteria, viruses, and other contaminants. A bathtub water storage bladder such as the Aquapod is easy to fill up at the last minute. Freeze dried food or cook-in-pouch meals just need hot water to prepare, and come in entree and breakfast options. Non-perishable food items like canned goods and meals, peanut butter, crackers, granola bars, cereal, boxed milk and bottled drinks. Hurricane lanterns or oil lamps, extra fuel, and mantles. Rechargeable or battery powered lanterns. A full tank of gas and extra gas stored in gas cans. Large garbage bags for trash and waste. A five gallon bucket or a portable toilet. You can also add gelation powder which solidifies waste. Wet wipes and waterless/dry shampoo to conserve water. Well stocked first aid kit with bandages, wound cleanser, antibiotic ointment, ibuprofen, aspirin, acetaminophen, anti-diarrhea medicine, tweezers, vinyl gloves, gauze pads, ice pack, etc. For a complete list, see our article How to Build a Survival First Aid Kit. Once you’ve collected your supplies, be sure to organize them and store your hurricane survival kit in an easily accessible place. You can also purchase our pre-assembled hurricane survival kits which are available in our store. Designate a safe place in your home to wait out the storm or a relativeâs house to go to if you need to evacuate. Have a portable “docs box” that contains copies of important documents such as birth certificates, insurance policies, driver’s license, etc. and emergency contacts. Also have current computer information and personal photos backed up on a zip drive. Have a list of the closest shelters, local hospitals, local utilities, and safe hotels outside of the hurricane area. Have a map of evacuation routes and alternates with gas, food, and lodging marked along the way. A sufficient amount of cash in small bills in the event the ATMs and credit card machines don’t work. Preparing ahead of time for hurricane season is well worth the effort, not to mention the peace of mind you will have knowing that you are capable of surviving a disaster situation. Start with the basics and expand from there, you can always add extra items but you can’t add extra time if a hurricane is headed your way!